The all-new Honda Civic has been spied testing with heavy camouflage on numerous occasions over the last six months. However, the Japanese carmaker looks all set to launch the latest generation of the venerable sedan in India soon as it was caught testing in its production guise on the streets of Bengaluru recently. The Civic is now a larger car in terms of dimensions. And with a coupe-like body shell, it looks sportier than the older model as well. With an all-new chunky design, a wide front grille and a full front splitter, the new Civic is quite a looker. Although the Civic facelift that was showcased in the US wore 18-inch wheels, the India-spec model will most likely get 17-inch units. It also gets a boot lid spoiler at the rear, which will be appreciated by Civic enthusiasts across the country. 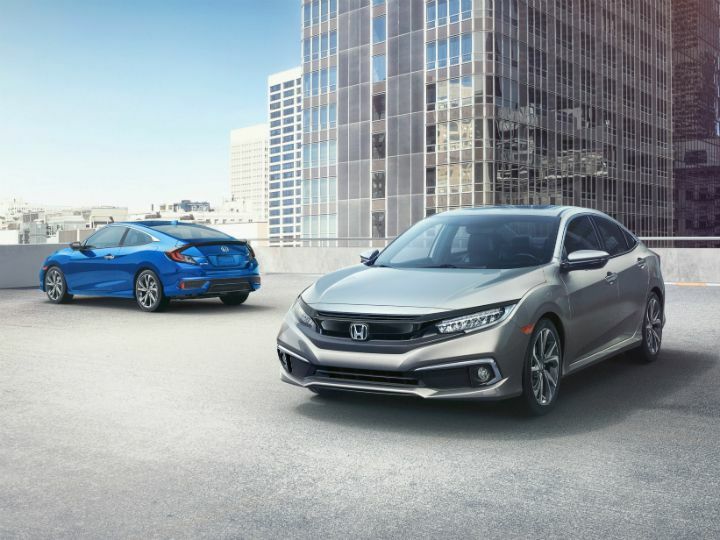 As seen in the latest video, the Civic gets LED headlamps as well as LED tail lamps and chrome accents for that premium appeal. The famous shark fin antenna can also be spotted here. Complimenting its looks will be an updated version of the old 1.8-litre i-VTEC petrol engine which produces 141PS of power and 174Nm of torque. And for the first time ever, the Civic will be offered with a diesel motor. The engine in question is likely to be the same unit that powers the CR-V. This 1.6-litre engine churns out 120PS of power and 300Nm of peak torque. While the petrol motor is expected to be offered with a choice of two transmissions - a 6-speed manual and a CVT - the Civic diesel will be sold with just the manual transmission. Likely to be priced between Rs 16 lakh and Rs 20 lakh (ex-showroom) [UPDATE: Launched, priced from Rs 17.7 lakh to Rs 22.3 lakh, ex-showroom pan-India], the 2019 Civic will heat up competition in the executive sedan segment that is home to the the Skoda Octavia and the Toyota Corolla Altis. If the buzz surrounding the new car is anything to go by, the Japanese carmaker just might have another winner at hand.